It’s that time of year when we think of delicious chocolates. 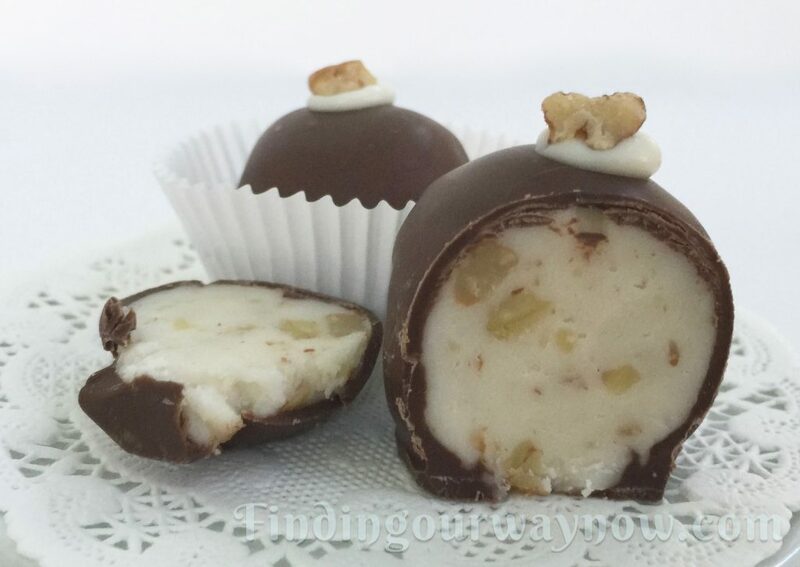 Enter my Butter Pecan Cream Chocolates for all those special people you wish to share a bit of love from your kitchen. 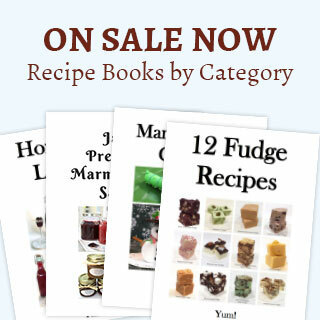 This recipe along with my other homemade chocolates makes for an excellent gift for anyone with a sweet tooth. These chocolates need little explanation so let me show you just how easy they are to make. Optional: Decorate with chocolate shavings, pecan bits decorative or candy decoration as desired. Using a stand mixer, combine butter, salt, and cream cheese. Beat at medium speed until smooth, scraping down the sides of the mixing bowl a few times. Add the extract and continue beating on low until incorporated. On medium speed, gradually add the powdered sugar a little at a time. Halfway through adding the confectioner’s sugar, add the pecans and continue adding the confectioner’s sugar until all is incorporated. Scrape down the sides of the mixing bowl and scoop the mixture into a clean bowl, cover and refrigerate until the mixture is firm enough to form balls. 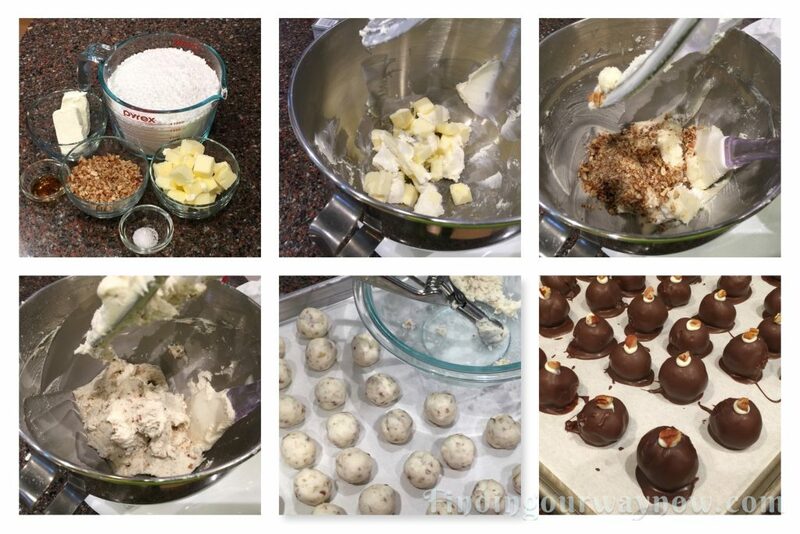 Using a melon baller or 1 tablespoon cookie scoop, shape the mixture into 1-inch balls. Place the butter pecan balls onto a parchment lined baking sheet. Cover and refrigerate for at least 2 hours or overnight until the balls are firm. In a double boiler, gently melt chocolate until it’s melted and smooth. Dip the cold butter pecan cream balls into the chocolate mixture. Using a candy-lifting fork, remove and tap on the edge of the bowl to remove any excess chocolate. Place the coated butter pecan balls onto a parchment lined baking sheet. Garnish as desired. Allow the Butter Pecan Cream Chocolates to rest at room temperature until the chocolate is set. After that transfer the Butter Pecan Cream Chocolates to an airtight container. They will keep refrigerated for up to 3 weeks. Notes: The hard part of this recipe is forming and dipping the balls in melted chocolate and having a bit of patience. The quality of each ingredient matters, so don’t skimp. Do not even consider using a low-fat version of the cream cheese. 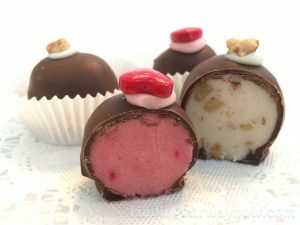 I’ll often decorate the coated chocolates with a bit of something that will indicate the flavor of the center; in this case a bit of the chopped pecans. If you prefer a different nut flavoring such almond or hazelnut, use the preferred chopped nuts and a complementing extract. Well, that’s all it takes to make these butter pecan cream chocolates. So take a moment to gather your ingredients and get to it. Wait, there’s more on the way. Next up, my Raspberry Cream Chocolates.